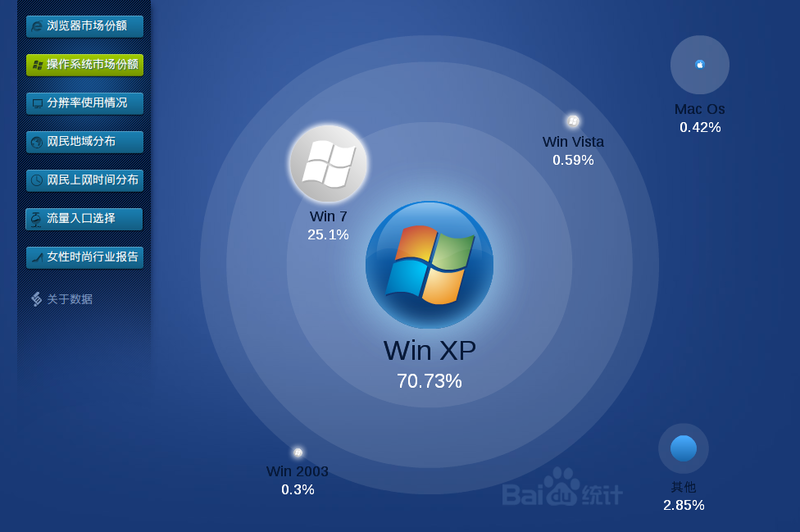 Baidu report said that about each 70% users use Win XP and IE in China. According to the recent report by Baidu statistics, IE8 is the most used web browser in China as of the end of April. The period covered by this report is three months that is from February 2013 to April. 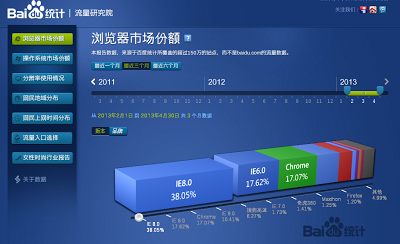 As mentioned above, IE8 has 38.05% market share, and it is the most used web browser in China. But the worthy of special mentions are following two things. 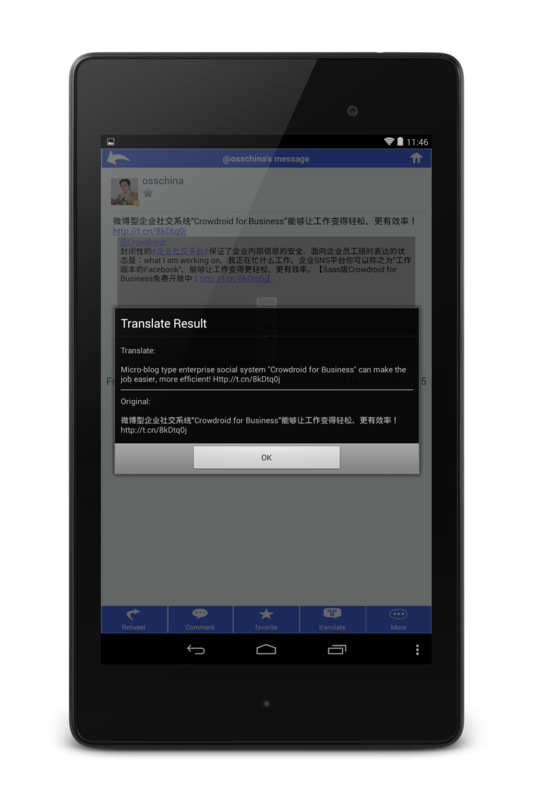 - IE6 is still used by 17.62% users in China. The data by "IE6 countdown" also said that 24.0% user still use IE6 in China. About the other country, the average utilization of IE6 is less than 2%, so it can be said that China is the special circumstances of web browser. - Chrome is rapidly growing in this three months. Chrome had 9.06% market share in the last three months. Hence it follows that Chrome got the almost double market share compared to the previous three months. The next picture is the market share of the PC OS in China as of the end of April. The period covered by this report is also from February 2013 to April. Over 70% users use Windows XP in China, and other 25% users use Windows 7. Hence it follows that they totally have over 95% market share in China. The formal support from Microsoft of Windows XP will end in next April, but Qihoo 360 announced to continue support of Windows XP instead of MS after next April. It is the something worth seeing whether Chinese XP users will upgrade or replace their OS to other OS or not. Anyway at this time, I think that web service provider or app developer who wants to enter Chinese market have to consider the above results.